Whether you are planning a small break or the travel trip of a lifetime, chances are you are going to be relying heavily on your smartphone. While our smartphones can help us with a lot of functionality and entertainment during our travels, that experience can be improved upon or enhanced with a number of smartphone accessories. In this article, we take a look at the best smartphone accessories you should consider for your next trip. It should come as no surprise to you that a portable charger is one of the most recommended travel accessories for your smartphone. We rely on our smartphone to make calls, order taxis, locate hotels and restaurants, or to simply look up important information. With a portable charger, you can ensure your chances of running out of battery are slim so that you don’t lose that functionality. A portable wireless charger is just like a standard charger, but it lets you charge your smartphone without an additional USB or lightning cable. You may wonder why you’d need such an accessory over a standard charger. Firstly, wireless charging removes the need for cables – if you’ve ever dealt with the frustration of rummaging through your travel bag to find the right charging cable, you’ll see the benefit immediately. Secondly, portable wireless chargers give you the freedom to keep your charging port free while you amp up your device. If you want to use wired headphones but don’t have a headphone jack, you’ll need the charging port free and a spare headphone jack adaptor. Keep in mind that not all phones can support wireless charging, so check with your manufacturer or retailer. Finally, get in contact with your airline for recommendations about taking your charger on board the flight. Some airlines have strict regulations on the size of the portable charger and number of chargers per person. What happens when you are out in the middle of nowhere and your battery on both your portable charger and your smartphone dies out? With good preparation, this should never happen, but if you want to give yourself peace of mind, why not also purchase a solar powered charger? Yes, they exist, and yes they do work. While solar powered chargers aren’t going to be as reliable as a standard portable charger that gets its juice from a wall outlet, they still provide electricity when you need it the most. There are two types of solar powered chargers – the first looks like a standard portable charger but it has a solar cell on top. These charge up and store power for later use. These aren’t exceptionally great at storing power – the charge time while out in daylight is very slow. The second type is more suitable for travelling – it features an array of solar cells that can be folded up for easy carrying. This type can charge your smartphone with solar power directly instead of storing power for later use. With the latter option, you shouldn’t have to worry about airline restrictions, as there usually isn’t any battery inside the charger. It’s worth calling up ahead of time for such an accessory anyway. In today’s smartphone climate, it’s hard to come by a good smartphone that still has a headphone jack. As a result, most people are pressured into using wireless headphones. There’s nothing wrong with using wireless headphones for everyday use, but a number of issues crop up when you are travelling. With some research, you can bag yourself a pair of wireless headphones that bring convenience to your trip rather than inconvenience. Firstly, you want to make sure you have a pair of wireless headphones that aren’t going to get lost. The type that has a wired band that hangs around your neck is a good choice. Secondly, try to find a pair that can be charged while listening. With this, you can ensure you don’t run out of battery. 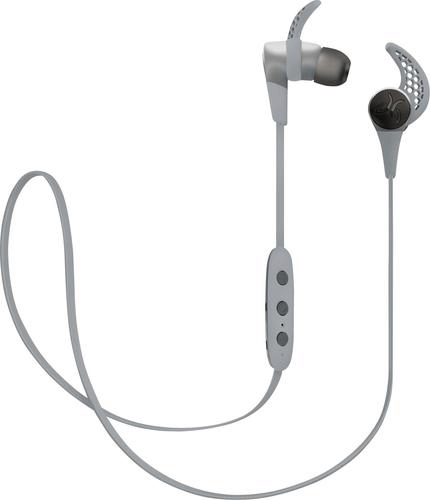 A good example of a pair of Bluetooth earphones that provides both of these features is the Jaybird X3, which retails for $120. Apple AirPods are also pretty great if you have an iPhone, though they are quite pricey. If you don’t want to splash out over $100 for a pair of new earphones, but still need a solution to your missing headphone jack whilst travelling, you could instead purchase a Bluetooth receiver. A Bluetooth Receiver with a headphone jack would let you turn your standard wired earphones into Bluetooth capable audio equipment. You can find reliable Bluetooth Receivers for between $15 and $40 on Amazon. The quality between receivers can vary massively. You’ll be saving money, but the audio quality may be worse, so make sure to read product reviews before buying one. One of the greatest ways to remember a trip (or show off to your friends) is to take pictures of your adventure. Smartphone cameras are now incredibly powerful, allowing the everyday person to take high quality travel pictures. If you want to take your experience even further, you could opt to pick up better camera lenses. There are a variety of different options for smartphone users at varying price points. For example, for just $15, you can find a good clip-on wide angle lens from Amazon that can help to create good landscape shots. At the very high end, you have gear like the Moment camera lens range. With these products, you get a case and higher quality lenses that can add different effects to your photography. These lenses cost anywhere between $90 and $150 but they are considered some of the best smartphone camera accessories in the game. A sturdy smartphone case is crucial for your trips abroad. Breaking your smartphone while on a trip can cause more issues than you’d first think. Without your smartphone, you may lose your map, your internet access, your ability to contact others, your money, and so much more. Splashing out a bit of extra money for a case that can actually protect your smartphone from a drop is important. You can often find lots of great options on both Amazon and eBay. Whilst not an accessory, it fits well in this article for the same reasons the other accessories do. Having an extra smartphone on hand can help you get out of difficult situations if you lose, break, or have your main smartphone get stolen. You don’t need to spend much on a secondary smartphone, either. A second hand or low end device with basic functionality is more than enough. One of the best recommendations for travelling is to pick up a local SIM card – you can usually get a good deal specifically catered to tourists so that you get internet access, SMS and calling. If you opt for this route, you’ll need somewhere safe to store your old SIM card. You can pick up a good storage case or wallet specifically for your SIM Card, SIM eject tool, and other small items like spare micro SD cards on Amazon for just a few dollars. It’s a cheap investment that could save you the hassle of losing something important. This brings us to the end of our list for the best smartphone accessories for travelling. I hope that the suggestions used in this article prove to be informative. Happy travels!